When it comes to city breaks, Stockholm is a super model. Sleek, stunning and intimidatingly gorgeous, the city is a series of 14 islands linked by 57 bridges, arching gracefully across the water. Whilst the whole of Stockholm possesses an air of glossy sophistication, each island has something a little different to offer, from iconic design to nouveau cuisine, incredible museums and fantastic shopping. Stockholm is undoubtedly a beautiful city but it is also famously expensive. However, on your trip to Stockholm, you don’t have to spend a fortune at every turn; there are plenty of free things to do that will take your breath away. Bursting with pomp and ceremony, the Changing of the Guards is a must-see in Stockholm. Immaculately turned out in uniforms of blue and silver, the guards parade through the Old Town (Gamla Stan) accompanied by a military band. The route goes from the Army Museum (if on foot) or Cavalry Barracks (when mounted on horses) to the Royal Palace, where the changing over ceremony takes place. The parade takes about half an hour and the ceremony forty minutes; the ceremony takes place at 12.15 p.m. Monday – Saturday and 13.15 p.m. on Sundays and bank holidays from May-August. In the winter, the public ceremony occurs on Wednesdays, Saturdays and Sundays (12.15 p.m. on Wednesdays and Saturdays and 13.15 p.m. on Sundays during April, September and October and 12 midday Wednesdays and Saturdays and 13.00 p.m. on Sundays from November – March.) Free music, free ceremony and free soldiers in full uniform; it’s a must-see! The island of Djurgarden at the centre of Stockholm welcomes more than 10 million visitors every year, who flock to soak up the culture and relax in the lush wooded parkland. Literally translated as Game Park, a walking tour through Djurgarden will cost you nothing, unless you decide to stop for a snack or a drink along the way! 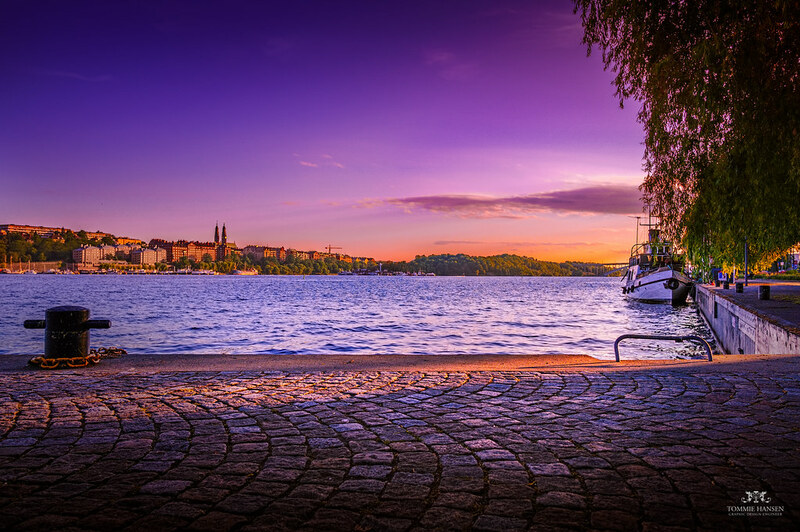 Amble through the park, explore the island’s woodlands, marshes and lakes, enjoy the incredible surrounding architecture and soak up the relaxed atmosphere of one of Stockholm’s loveliest islands. Djurgarden is accessible by bus but for the ultimate experience, hop on a Djurgarden Tram. The trams were built between 1920 and 1950 and there is something quite enchanting about watching the world go by as you travel by vintage tram to the island. The Djurgarden tram runs every 12 minutes so don’t worry if you miss one; another will be along shortly. This gallery is free to enter and worth visiting for the architecture alone. The former bank features a magnificent glass dome ceiling and underground vaults that make viewing the exhibits feel like an intimate, almost religious experience. The artwork displayed is all documentary style photography, an evocative insight into the life, trials and joys of humankind. 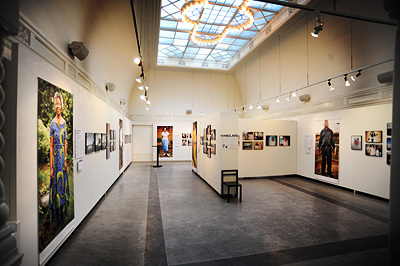 The gallery was founded in 1996 and is now considered to be Sweden’s finest venue for documentary photography. There are about 15 exhibitions every year and, year-round, the gallery exhibits the Swedish Picture of the Year. The gallery is closed on Mondays and open Tuesdays – Thursdays 12 midday – 18.00 p.m. and Saturdays and Sundays 12 midday – 16.00 p.m..
As if this super model couldn’t get any cooler, the Moderna Museet is a phenomenal modern art museum. The permanent collection includes photography, sculptures, paintings, installations and video art by contemporary greats, including Picasso, Warhol, Rauschenberg, Hirst and Dali. Iconic pieces by Bacon and Matisse sit cheek by jowl with pieces by newer contemporary artists, Charlie Chaplin films and experimental video art are screened in small viewing rooms, and there are a host of free workshops, events and activities for children. Admission to the Moderna Museet Collection and most of the temporary exhibitions is free; over 18s may need to pay for access to some exhibitions. The Museet is closed on Mondays, open 10.00 a.m. – 20.00 p.m. Tuesdays and Fridays, 10.00 a.m. – 18.00 p.m. Wednesdays and Thursdays, and 11.00 a.m. – 18.00 p.m. on Saturdays and Sundays. The former prison island of Langholmen is home to one of the best beaches in Stockholm and locals and tourists alike flock to the small, sandy spot to soak up the relaxed environment and take a dip in the sea. The beach is family friendly and enjoyed by people of all ages, but it can get very crowded, especially on warm weekend days. If it is a little too crowded for your liking, you can walk to the other side of the bridge and swim off the rocks. Take a little time to explore the beach, too; the irony that one of the most relaxing spots in all of Stockholm is home to a former prison will not be lost on you! To get to the beach, catch the subway to Horstull – the beach is a 10-15-minute walk. If you are planning a trip to Stockholm, you will need to budget for a higher cost of living – everything from a cup of coffee to a loaf of bread will probably cost more than you expect. However, with so many fabulous free things to do in Stockholm, it is possible to save a little money without compromising on the quality of your trip. One thing is for sure: once you get past the city’s super-model exterior, you will find a warm heart and plenty of inspirational culture and art. For great deals on flights to stockholm, free activities and trip inspiration, follow us on Facebook, Twitter, Pinterest, and Google+.